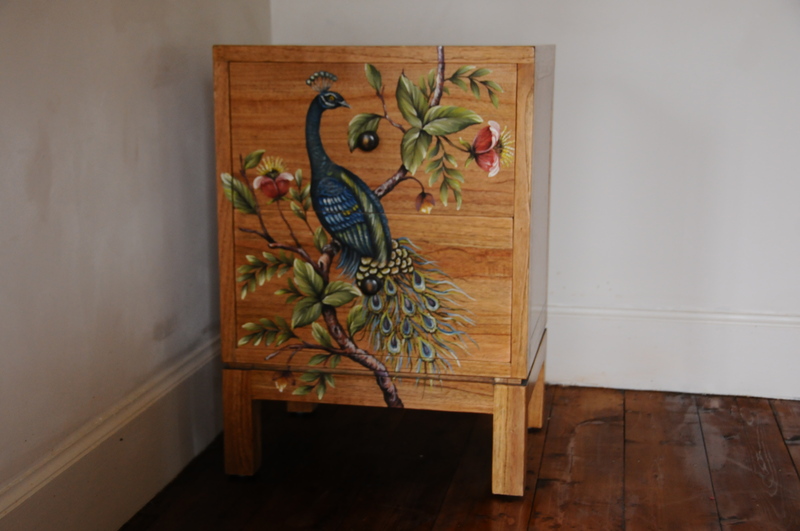 The Indira 2 Drawer Bedside Chest has been hand crafted from high quality Solid Mahogany and stained with a beautiful, Antique French Oak Finish. 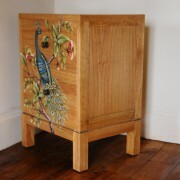 It contains 2 generously proportioned, deep smooth gliding drawers. 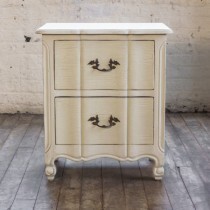 SKU: IND-003-FO Categories: Bedsides, Chest of Drawers. 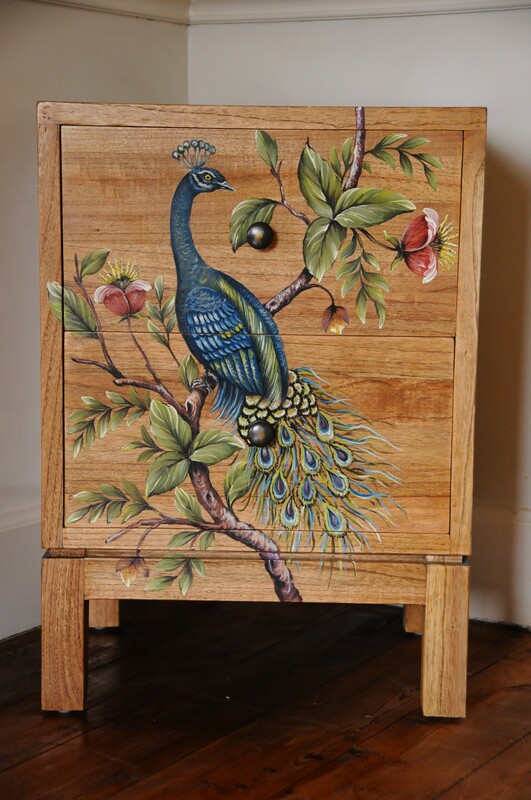 The Indira 2 Drawer Bedside Chest has been hand crafted from high quality Solid Mahogany and stained with a beautiful, Antique French Oak Finish. It contains 2 generously proportioned, deep smooth gliding drawers, each drawer having been hand crafted using the traditional method of dove tail jointing, which gives extra strength and stability. 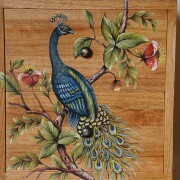 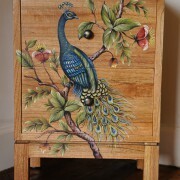 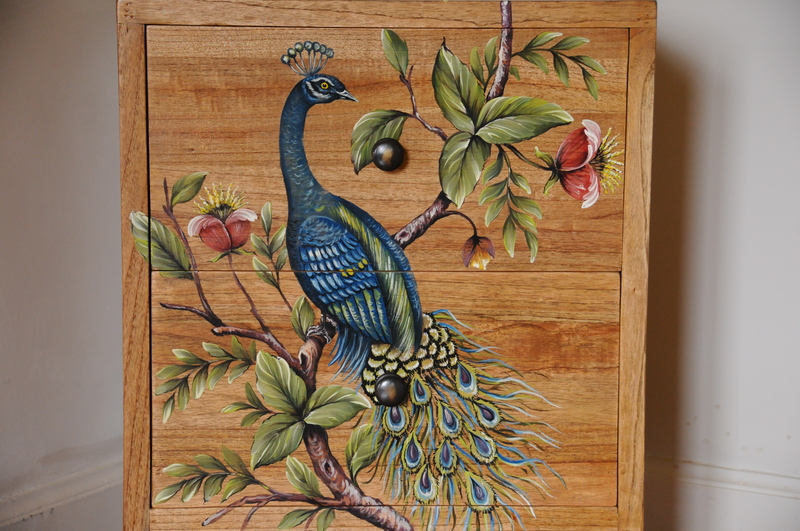 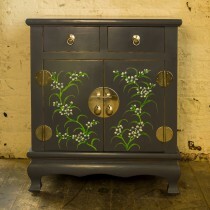 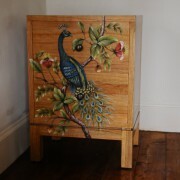 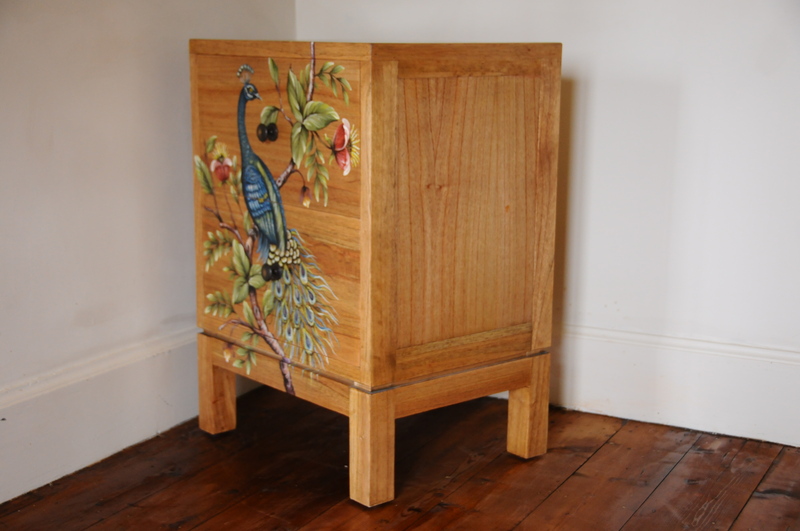 Each individual Chest has been Hand Painted with a unique and beautiful Peacock design. 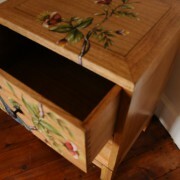 A lacquered finish is then applied, which gives the Chest a natural looking lustre quality. 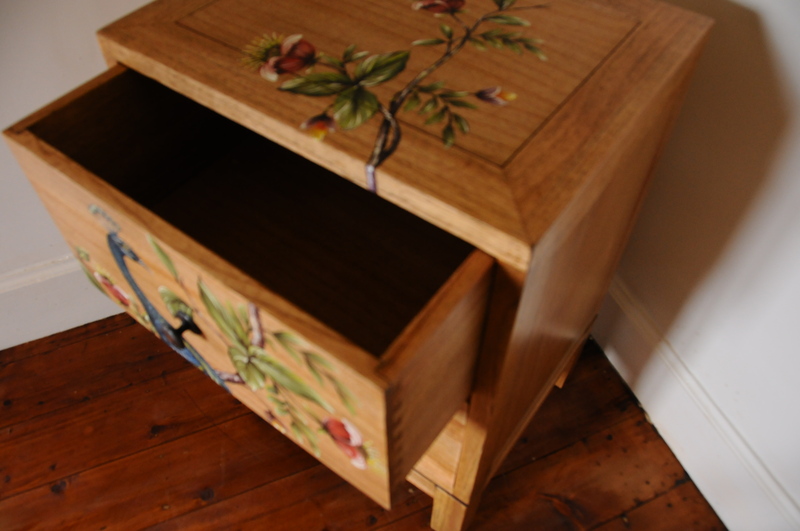 This Chest has been primarily designed to be used as Bedside Storage, but would be equally at home in a Study, Hallway, Landing, Kids Bedroom or practically any other room in the home.